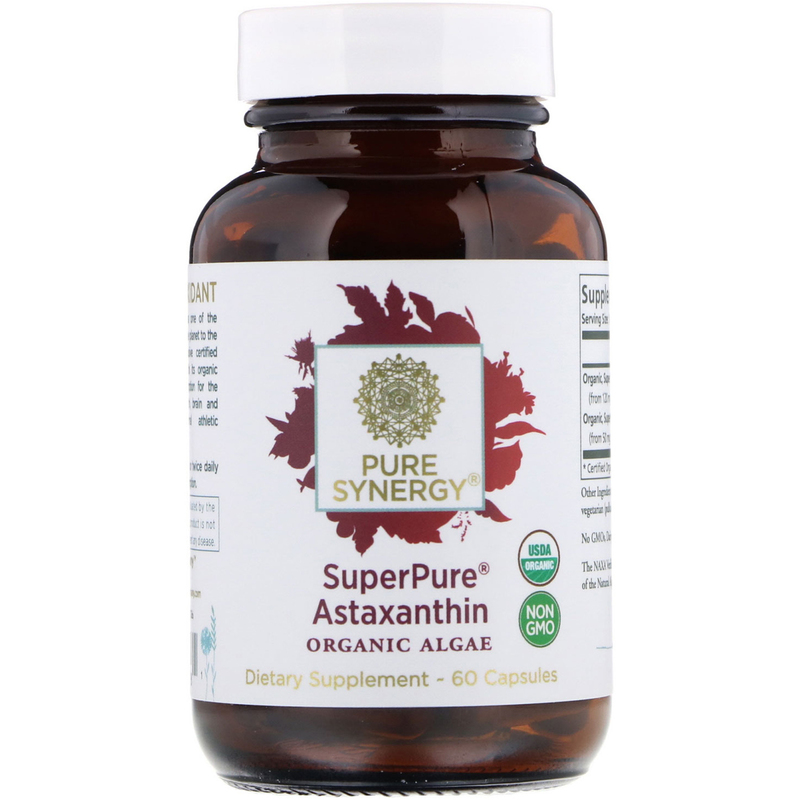 Our SuperPure Astaxanthin raises one of the strongest natural antioxidants on the planet to the peak of purity with our exclusive certified organic, whole-food formula. 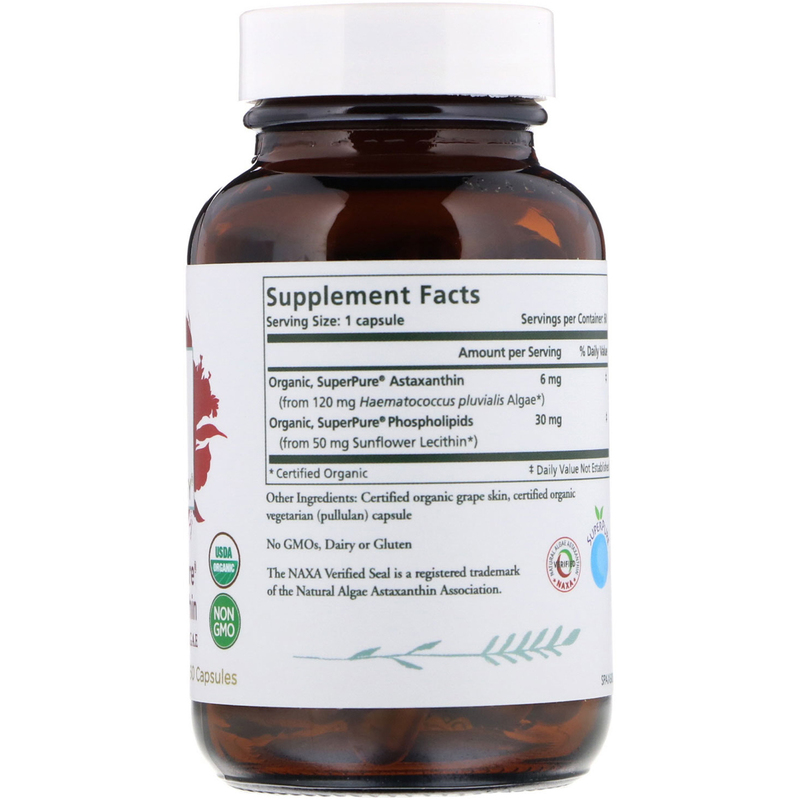 With its organic phospholipids, it optimizes absorption for the ultimate in skin and eye health, brain and cardiovascular support, optimal athletic performance and much more. 1 capsule once or twice daily preferably with food for best absorption. Certified organic grape skin, certified organic vegetarian (pullulan) capsule. No GMOs, dairy or gluten.